He then pursued his carrier in many Hospitals in Lebanon. He occupied in 2007 - 2012 the position of medical and administrative assistant of the chairman of the board of the “Clinique Du Levant” hospital in Beirut. 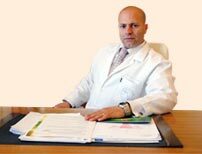 Also, in 2013 Dr. Dagher started to work in Erbil as Medical director & specialist in Gynecology – Obstetrics and erectile dysfunction in men, at “Lebanon Global Clinic”, Erbil-Kurdistan-Iraq. He then occupied the position of Deputy Medical Director of IVF Lebanon in Beirut - Hazmieh until February 2018, where he was also consulting and treating infertility patients since 1st of January 2014 until now. He also obtained in July 2018 a University Diploma in “Infertility, Assisted Reproduction Technology (ART) & Endocrinology of the reproduction at Foch hospital by the University of “Versailles Saint Quentin en Yvelines” in Paris – France. 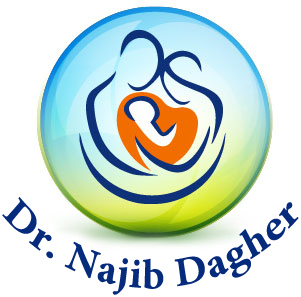 He is a member of "Clinica Tambre" Madrid - Spain as well as "IVF Lebanon" - Hazmieh Beirut since February 2018. During the first 5 to 7 days of development, the embryo is surrounded and protected by an outer shell called the ZonaPellucida. Normally, when the embryo reaches the uterus, this Zona partially dissolves and the embryo ‘hatches’ and get out, in order to implant in the uterus. In some patients infertility may be caused by a hardening of the Zona, which makes it difficult for the embryo to hatch and implant. Assisted hatching is a laboratory micromanipulation technique carried out just before the embryos are placed in the uterus to help the embryo to hatch from the zona. The unfertilized egg is surrounded by a shell called ZonaPellucida. The Zona has an important role in fertilization. It allows only one sperm to penetrate the Zona and enter the egg to make fertilization. After fertilization of the egg, and during the cleavage stage of an embryo, the ZonaPellucida hardens. This development is normal in order to keep the cells in the egg together. The embryo has to "hatch" or break out and get out of the Zona in order to embed and implant into the endometrium lining of the uterine cavity. This happens about 2-3 days after embryo transfer when the embryo is at the blastocyst stage. Naturally this happens by expanding/contracting of the Zona until it distorts, allowing the blastocyst to "hatch" and get out. When sperm fertilize the eggs in the IVF laboratory, the ZonaPellucida hardens at much faster rate than natural, making it more difficult for the embryo to implant. Before implantation, the embryo has to escape out of its ZonaPellucida by a process called hatching. If this process is not completed properly, implantation failure occurs and a pregnancy is unable to continue. Assisted hatching consists of creating a hole in ZonaPellucida, to help the embryo in the hatching process. The Laser technology for Assisted Hatching (LAH), where a precision laser beam is focused over the ZonaPellucida making a small opening, between 10-20 microns to facilitate embryo hatching. LAH is done just before the Embryo Transfer. This helps to increase pregnancy rates by improving implantation rates, since embryo hatching is made easier. It’s a fast, and safe method compared to the old method of hatching which was performed by using acidic medium on the Zona to create a small hole. The accuracy of the laser is determined by its programming. There is high degree accuracy. • Women older than 35 years of age, have a tendency to produce eggs with a harder ZonaPellucida than younger women. Preimplantation genetic diagnosis (PGD) is a procedure used in conjunction with in vitro fertilization (IVF) to select embryos free of chromosomal abnormalities and specific genetic disorders for transfer to the uterus. Or for gender selection to choose a boy or a girl. PGD improves the likelihood of a successful pregnancy and birth for two distinctly different groups of patients; couples with infertility related to recurrent miscarriage or unsuccessful IVF cycles and couples who are at risk for passing on an inherited genetic disease to their offspring. Preimplantation genetic diagnosis may be recommended by your physician when there is a possibility, indicated by your medical history that your embryos could be affected by a genetic disease. PGD can only be performed within the context of an IVF cycle where eggs and sperm, united in the laboratory, develop into embryos. Today, PGD technology reduces the potential for adverse pregnancy outcomes for couples ‘at risk’ by testing the embryos for certain genetic abnormalities before they are chosen for transfer back to the woman. For example: 10 embryos resulted from an IVF cycle and through PGD testing, six were identified as genetically abnormal and four were normal. Using this knowledge, only the normal embryos will be selected for embryo transfer, reducing the possibility of miscarriage or birth defects.